Kale Chips' weight-loss plan is underway, and it involves water therapy and lots of fruits and veggies. 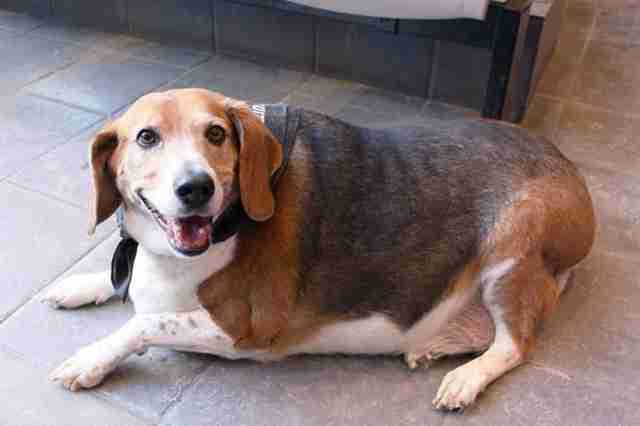 The beagle made headlines last week for being so obese that animal rescue workers had to wheel him around in a wagon. Kale Chips weighed in at 85 pounds when his owner surrendered him to Chicago Animal Care and Control. 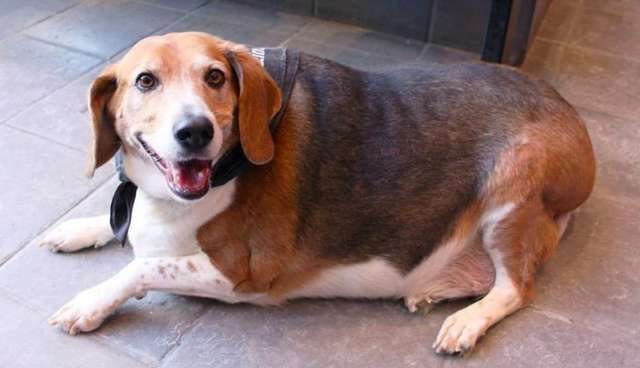 He has since been taken in by One Tail At A Time, a non-profit, no-kill dog rescue that is putting him on a diet and exercise plan to help him lose the weight while he waits for a forever family. According to the group's Facebook page, "He is on a very strict diet (which includes fruits and veggies as snacks) in an effort to lose the weight slowly. We are shooting for one pound per week." Anna Friedman, the Board Vice President of One Tail At A Time, told The Dodo a little more about Kale Chips' weight loss efforts which include eating all-natural, hormone-free dog food from a sponsor, The Honest Kitchen. "Our veterinarian is recommending that he lose weight slow and steady so that it isn't a shock to his system and his body can adjust," Friedman said. "Ultimately he has a large weight loss goal, probably more than half his current weight, but it might take upwards of a year to get to that point." Friedman said that Kale Chips will start out with water therapy, which will be easiest on his joints. As for plans for his future? "He's heading to a foster home later this week and will start the water therapy right away," Friedman said. She added that the rescue group will be accepting applications for his adoption in a few weeks, and interested parties are welcome to reach out at any time. 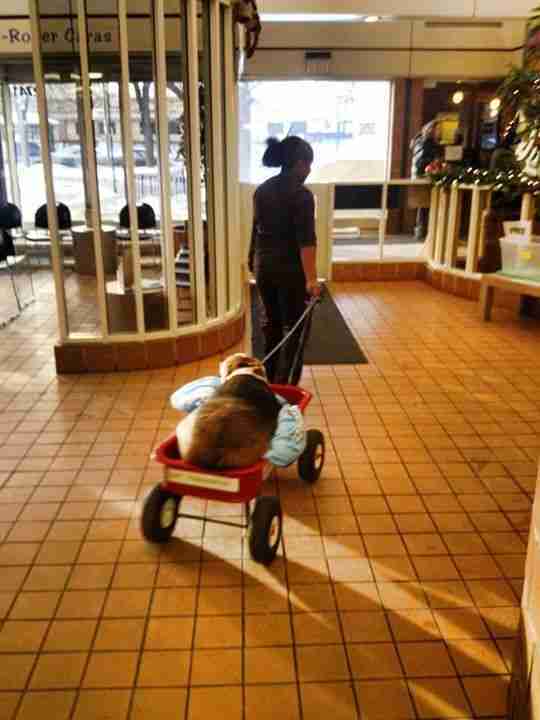 Kale Chips isn't the first hefty doggy to receive help from One Tail At A Time. Here's Kai, a puggle who slimmed down to a healthy weight of 36 pounds thanks to a similar diet and exercise plan. If you'd like to get in shape with Kale Chips and help with his recovery, sign up for the Team Kale Chips Challenge. Follow Kale Chips' progress on One Tail At A Time's Facebook page. For tips about managing your dog's diet and keeping them at a healthy weight, see this page or talk to your vet.